Here at Hughes we love it when the TV manufacturers bring out their new models. LG and Sony were quickest off the mark this year and we were really keen to get them out on display as soon as possible, demo-ready and put them through their paces. 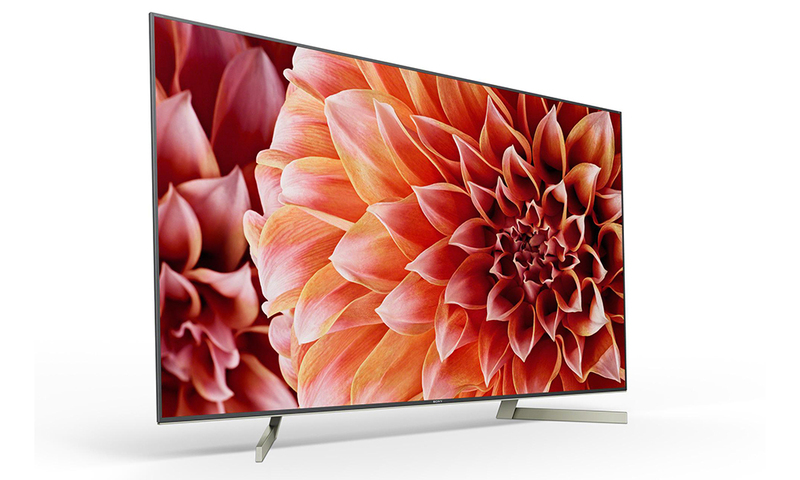 One of our most popular TV’s last year was the Sony XE9005 series which we stocked in 49, 55 and 65inch screens. It’s replaced this year by the XF9005 and it is the 49 inch model that was the first to arrive with us from Sony. The XF series has all the great features of the XE and some new ones too. 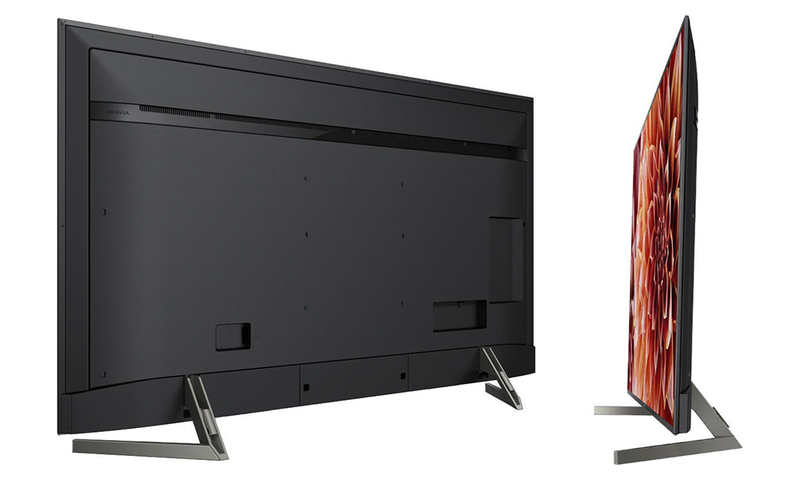 The screen on this TV is edged with a slim, narrow frame that maximises the viewing area. A beautiful aluminium finish gives it a real premium look. Most noticeable straight out of the box was the different plinth stand. You can your hide cables in the stand, and hold them in place with the included cable holder. And what new electrical product is complete these days without voice control? Well, this Sony TV works with Amazon Alexa. You can connect your Amazon Alexa-enabled device/s for hands-free control and it is pretty seamless. With Amazon Alexa, you can power up your TV, change channels, control volume and more; we had great fun setting this up. In addition you can connect with Google Home. Again, if you connect with Google Home you get hands-free control of the TV. With Google Home, you can find and cast your favourite videos to your Sony TV, without lifting a finger. There’s a voice search featured as part of the Smart functionality. Simply say what you want to see with voice search to spend less time browsing and more time watching. Voice search on this TV provides you with the power of Google search, allowing you to find content across different services without the hassle of time-consuming text entry. You can also get recommendations; asking for “romantic comedies” for example, quickly brings up a list of great options. 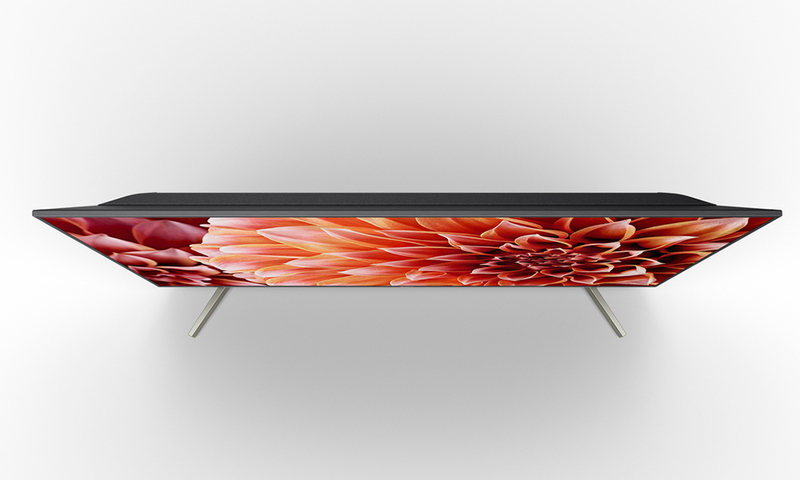 This 4K Sony TV handles a variety of HDR formats, including HDR10, Hybrid Log-Gamma and Dolby Vision. Hybrid-Log Gamma has been part developed by the BBC specifically for television to get the best of 4k HDR broadcasts. The Sony KD49XF9005 has a stunning picture thanks to Sony’s processing technology. The 4K HDR Processor X1 Extreme utilises innovative and powerful image processing in real-time for ultra-detailed pictures. Even upscalesd images from a standard signal are closer to true 4K HDR quality. The XF9005 range ensures that you will enjoy beautiful night scenes, full of dazzling lights and mesmerisingly deep blacks. With up to six times the contrast of conventional LED TVs, this 4K HDR TV with X-tended Dynamic Range PRO makes sure that dark scenes are deeper and darker with bright scenes appearing much brighter. The X-Motion Clarity technology keeps the fast action scenes smooth and clear – perfect for high-octane, adrenalin-pumping action movies. The moving images are precisely controlled to minimise blur to negligible levels. Even during high speed scenes, like car chases, the picture stays true with absolutely no loss of brightness. The Triluminous display lets you see vivid real world colours all around you. A TRILUMINOS Display maps from a wider palette, faithfully reproducing every shade and hue in the umbrellas. In addition this range benefits from Sony’s Dual Database processing. In essence, one database is used to clean the picture, effectively reducing any on-screen “noise”. The other works to upscale the resolution, which dramatically improves clarity. These two powerful image improvement databases work in harmony, dynamically improving every pixel, in real time. Each database has tens of thousands of references, amassed from Sony’s experience creating content for TV and movies over the years. This TV also has Chromecast built-in so you can easily cast your favourite entertainment – like YouTube or Netflix – from your personal device on to the screen. You can cast from Android, iOS, or your laptop. Also there’s Bluetooth connectivity allowing you to connect your Bluetooth compatible devices to your TV for easy wire-free entertainment. Simply pair your Bluetooth headphones or earphones and enjoy TV shows and music in your favourite place – without any disturbances or interruptions. 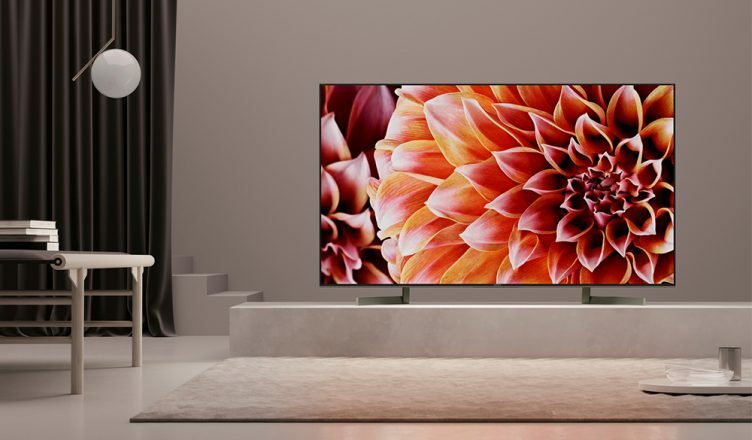 We’re really impressed with this TV; it was one of last year’s best TVs and now with new features and improved brightness and motion handling it’s certainly one of our favourites. Buy the Sony XF9005 range online, rent from £15.00 per week, use our Click & Collect service to pick one up in your local store or ask your local store about a demo and enjoy expert advice and unrivalled deals. WIN an Ecovacs Deebot M81 Robot Vacuum Cleaner!